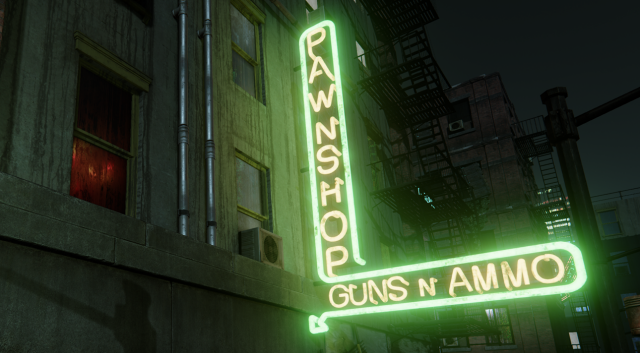 Adam Davis started a topic [RELEASE] Unreal Engine 4.6 Released! The new Web Browser widget for Slate (SWebBrowser)can be used to easily navigate to interactive web pages and display them as part of your UI. 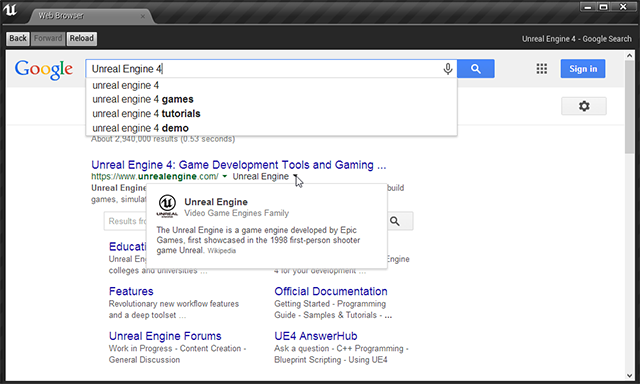 It’s powered by an embedded Chromium web framework (CEF3). This feature is currently experimental and only supported on Windows platform. ​If you have multiple Slots, the Status Bar will also tell you if there are any issues with the setup. For example, if you mix and match Slots that belong to different groups, the little warning sign appears, and you can hover over it to see more about the problem. Please be aware of these important changes when updating projects to the 4.6 release. 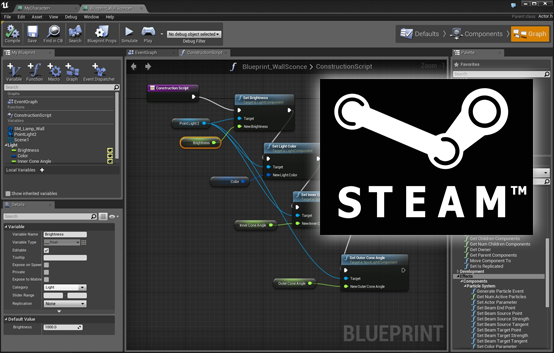 Blueprint variables now have to be marked public/editable to be accessible from other blueprints. GENERATED_BODY replaces GENERATED_UCLASS_BODY and provides additional UObject improvements. More changes are planned for GENERATED_BODY with the 4.7 release and users with existing code may wish to delay switching existing classes until then. TSubobjectPtr<> has been deprecated, along with all public subobject properties which will be made private in the 4.7 release. Going forward, classes should be designed so that all subobject properties are private and can only only be accessed through public Get*() functions. 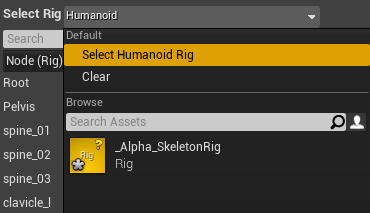 Fix for compression data in animations being missing if the skeleton GUID didn't match the cached GUID in the animation. Fixed a crash when retargeting skeleton that has different order with target skeleton. New: Blueprint variables now have to be marked public/editable to be accessible from other blueprints. Add some clipping for connections in blueprints in an attempt to address performance issues on large graphs. Add module generated include directory to ShouldExportClassesForModule in UHT. Fix a use-after-free bug in FInternationalization. Fix HeaderParser so it no longer removes valid uses of "*", " * ", etc from within comments when generating tooltips. Only asterisks from the beginning of lines following only whitespace are removed. Add version of LerpStable() that works with floats, not just doubles as before. Fix foliage tool crashes when using the reapply tool with Z offset and fixed erase density and reapply density features. 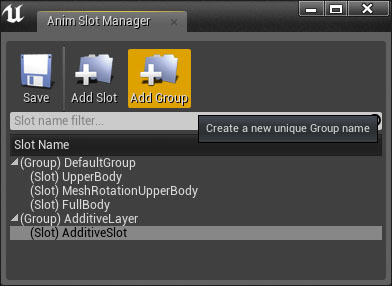 Fix "Dragging 'New Landscape' Rotation Z slider does not update real-time"
FSkeletalMeshMerge: oMerge() now takes an optional array of FPoseOverride structures. Fix issues (particularly on Mac) seen when moving mouse out of the viewport while holding left mouse button down when using the mouse as touch. Fix issue where the mobility of parent/child actors could end up out of sync with one another. 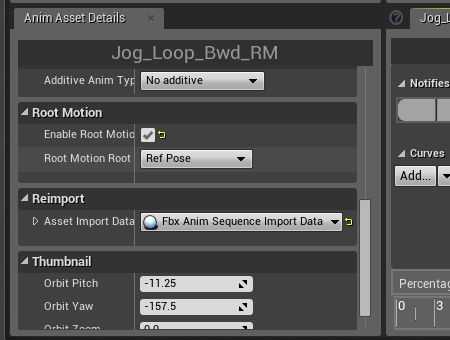 Fix path following in CharacterMovementComponent, so that it turns more quickly and considers current velocity when trying to reach destination speed. Fixed SceneComponent::MoveComponent() so it always fills in the out HitResult no matter the control path. 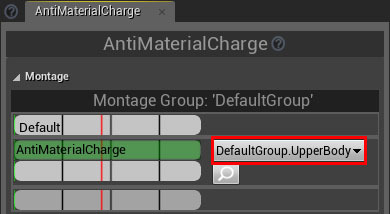 Fix crash in CharacterMovementComponent if setting UpdatedComponent to NULL. 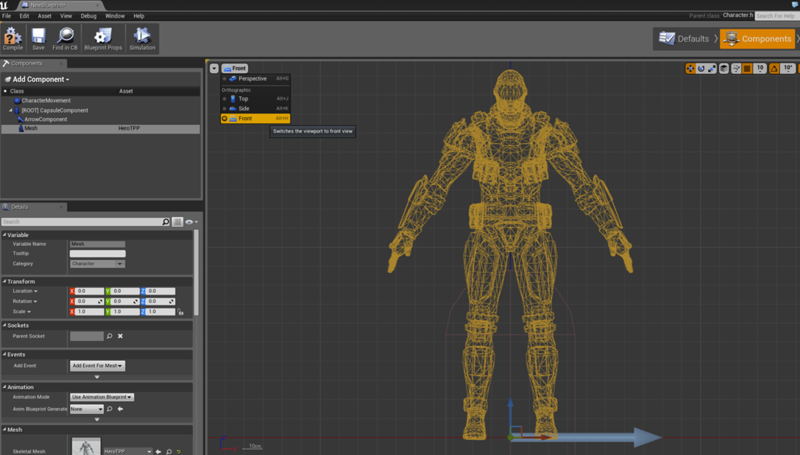 Persistent level is always registered for texture streaming in the Editor. 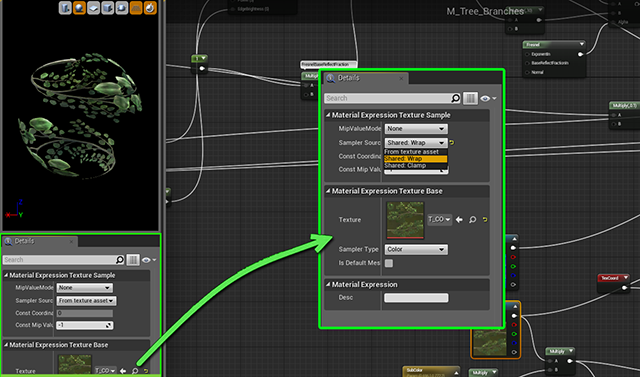 Landscape correctly registers all dependent textures for streaming. Any editor in the engine can be looked to for reference on these changes. Rebuilding textures will cause editor to lock up briefly while using "Launch On"
Last edited by Chance Ivey; 04-20-2015, 11:45 AM. Judging by the image you posted, I think the "Scale Full" variable in the graph is actually the "ScaleFull" variable instead of "Scale_Full" (you have 2 of them). 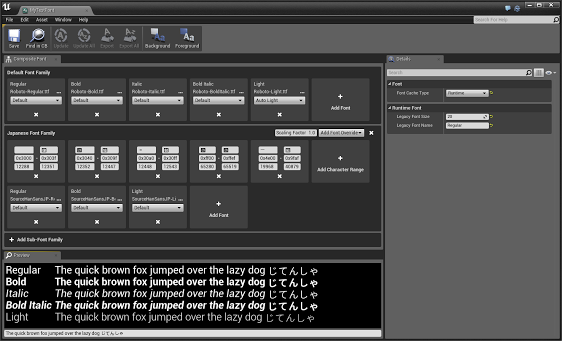 The editor will add a space between the word Scale and Full for both of those names by default, so it's likely it is the wrong variable. For the Timeline, I would try and re-create it in your new project instead of pasting it, it should work copy/paste as well, but try that as a workaround. Last edited by DotCam; 12-24-2014, 11:51 AM. Check your scalability settings to make sure they didn't auto-change on converting. Click on the Settings button from the main toolbar then go to the Scalability Settings section and make sure you have it set to Epic. If it is set any lower you will notice a quality reduction. Hope that helps! I cloned a lvl I did in 4.4 to 4.6.1 and now the gfx quality is alot worst than in 4.4... especially in particles. Now when I move around, particles emit alot stronger when I move then tone down when I stop moving, LOD seems to have changed too (like if everthing is now on the lowest quality lod. Did something obvious that I dont see changed? How can I set gfx quality back to max? 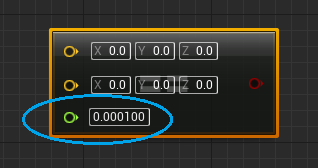 To give some background, with the new Blueprint menu system, we decided to respect a flag on variable properties named "DisableEditOnInstance". At surface level, seems like a good change, right? If someone marks a variable with "DisableEditOnInstance", it makes sense that they wouldn't want people modifying that instance variable (even through Blueprints). Is there any reason for this change? Because it is a pretty bad change. 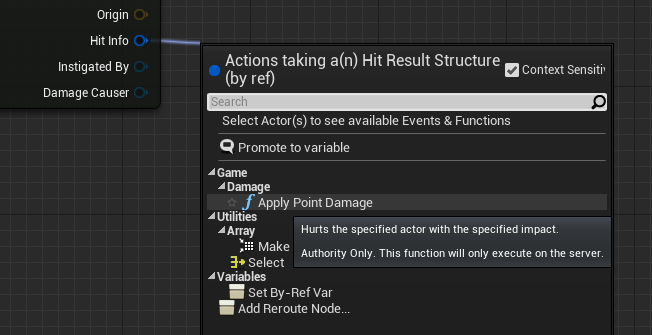 Some people were expecting that if you mark a property with "EditDefaultOnly", then Blueprints shouldn't be able to alter the instance's variable (through setter nodes, etc.). We've since decided favoring this workflow threw up too many hurdles for other users. Seconded. Just because I want something to be accessible from other blueprints doesn't mean I want it to be accessible to the level designer or cluttering up my actor properties. We've taken action to resolve the mistake and reverted to the old functionality (where we don't respect the "DisableEditOnInstance" flag at all). We made the change a little too late to get it into the first 4.6 hotfix, but it can be seen here on github: https://github.com/EpicGames/UnrealE...ed512123224bb0. We're working to get it in to the following build. Hope this helps, and maybe gives you guys a little insight into our insanity. Sorry for the hiccup, but all will be right in the near future! I had a quick question. Is there potential to have Frustum controls to be exposed for individual cameras? I need an orthographic camera with a 20 unit Far Clip Plane but the default camera has what seems to be an infinite Far Clip Plane and the inability to easily edit said Far Clip Plane. I would like to create a flight simulator in a couple of years and 20km x 20km seem small if you want to make a big map of thousand or hundreds of km. You wrote that we can make multiple world for one world or something like that... How does it work if you don't want loading screen or low framerate? You'll want to take a look at our World Composition tool that allows you to tile and stream in different levels. This will be your ideal way to handle this for large open worlds. As for Low FPS and loading screen this will be dependent upon your optimizations using level streaming, LODs, and being able to profile any hitches that come up with your development. Feel free to ask questions about these in separate forums or AnswerHub post if you have any further questions.